Despite pledging that corruption “simply will not happen” in her administration, a second top official resigned from Governor Brown’s office following accusations of conflicts of interest. Abby Tibbs, appointed Deputy Chief of Staff, took a two-month leave of absence from her job as a lobbyist for OHSU to work on the Governor’s budget, in which OHSU had a huge financial stake. Gov. 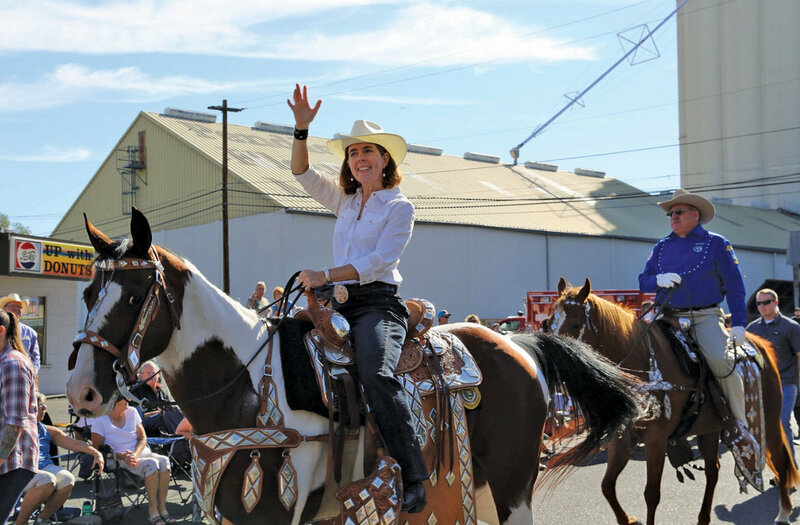 Kate Brown is heading into this year’s high-stakes legislative session without permanent appointees in two key jobs in her administration. The governor’s office announced Tuesday that chief of staff Kristen Leonard resigned her job effective no later than Jan. 31. And Abby Tibbs, who was scheduled to start as Brown’s deputy chief of staff on Jan. 23, also resigned, according to spokesman Chris Pair. The resignations followed recent reports in Willamette Week that raised questions about Leonard and Tibbs’ potential conflicts of interest. A company operated by Leonard and her husband, Kevin Neely, has a six-figure software contract with the state that expires this year. Neely also is a contract lobbyist for the Oregon District Attorneys Association, which has an interest in legislation Brown can decide to sign or veto. Tibbs, who worked a two-month stint in the fall to help develop the governor’s budget proposal, did so while on a break from working as a lobbyist for Oregon Health & Science University. The university has a financial stake in the state budget, and Willamette Week reported that neither Leonard nor Tibbs filed forms with the governor’s office disclosing their potential or actual conflicts of interest. Brown has pledged to restore the public’s trust in state governmentand make ethics reform a priority. She ascended to the governorship after John Kitzhaber stepped down in the midst of an influence-peddling scandal. The governor’s office said Leonard filed a different form, an economic interest disclosure required of public officials. Pair said Leonard and Tibbs’ decisions to leave were unrelated to the conflict of interest article. Leonard stepped into the chief of staff job a year ago following the resignation of then-chief of staff Brian Shipley for what was always supposed to be a “limited duration assignment.” Pair said Leonard was originally going to serve in the job for a year, then stayed on a couple more months at Brown’s request to work on the governor’s budget and prepare for her inauguration. As for Tibbs, Pair said, it made sense for the new chief of staff to select a deputy. It was unclear why Leonard would have hired Tibbs, knowing she was about to leave. Those obligations include Leonard’s job as public affairs director for the Port of Portland, a job from which she took a leave of absence to work in the governor’s office. That means Leonard was in a similar situation to Tibbs, working for the governor’s office on a temporary basis while planning to return to a permanent job with an employer interested in the governor’s budget and policies. Steve Johnson, a spokesman for the Port of Portland, said Leonard remained on leave from the Port until she recently resigned the job to take an extended vacation. “We granted Kristen’s request to terminate her employment on Dec. 22,” Johnson said. Pair said Leonard took steps to remove herself from any decisions that could affect the Port, although he did not specify whether this included budget decisions. In a statement, Brown praised Leonard’s work on the budget and major legislation in 2016.